It is a time for hope and action. We must do everything possible but things are going to get nasty. This week Reef Innovations, the worldwide contractor for Reef Balls is at the Restore American Estuaries conference. 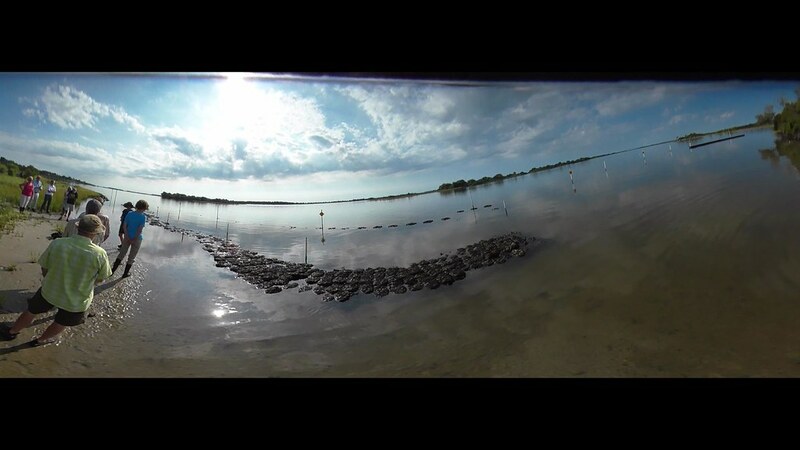 Shortly Jim McFarlane will be presenting Best Practices, using Reef Balls on Living Shorelines. 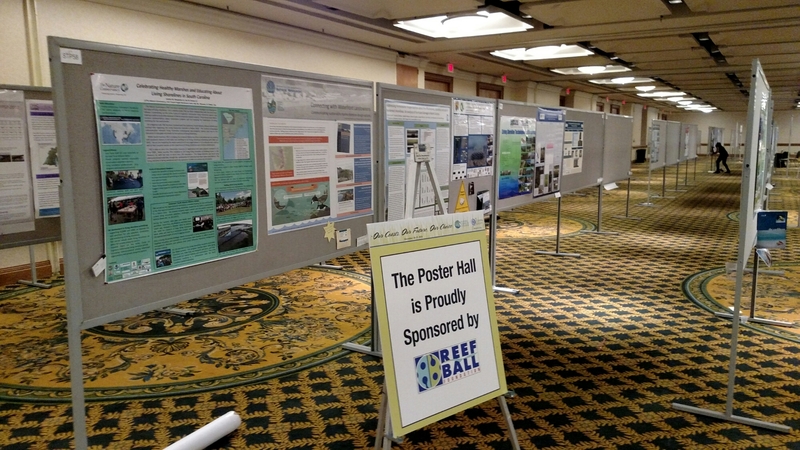 Reef Innovations is sponsoring the poster hall. Jim McFarlane will be attending this event representing Reef Innovations / Reef Ball Foundation. If you in the area sign up to attend. Living Shoreline Tour & Workshop PRESENTED BY:CAPE FEAR NC-US GREEN BUILDING COUNCIL (NC-USGBC), NORTH CAROLINA CHAPTER OF THE AMERICAN SOCIETY OF LANDSCAPE ARCHITECTS (NCASLA), AND NORTH CAROLINA COASTAL FEDERATION (NCCF) Date: Friday, August 26th (9AM-2:30PM)Lunch: Catered by NY Corner DeliLiving Shoreline Tour Location: Morris Landing, Holly Ridge (9AM) Tour Parking: Parking is on the side of the road, at the end of Morris Landing Road, Holly Ridge, NC. CLICK HERE for Parking map & Instructions. Workshop Location: Surf City Visitor Center, 102 North Shore Drive, Surf City, NC 28445 (10AM) CEUs: Pending Approval: (4.5) Hours: LEED AP, NCBOLA & AIA Living Shorelines: Shorelines are often stabilized with hardened structures, such as bulkheads, revetment, and concrete seawalls. Ironically, these structures often increase the rate of coastal erosion, remove the ability of the shoreline to carry out natural processes, and provide little habitat for estuarine species. 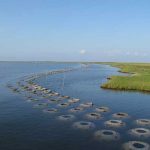 Living Shorelines seek to implement a more natural bank stabilization technique using a variety of structural and organic materials, such as wetland plants, submerged aquatic vegetation, oyster reefs, coir fiber logs, sand fill, and stone. Benefits include shoreline stabilization, protection of surrounding riparian and intertidal environments, improved water quality, and habitat creation. Tour Description: The Morris Landing Living Shoreline is located within NCCF’s 52 acre conservation site, south of Cape Lookout on Stump Sound. It serves as a natural laboratory and a demonstration project showcasing (5) types of living shoreline applications. We will meet at the site at 9AM, when tides and temperatures are low. It is a 10 min drive from the tour site to the Surf City Visitor Center workshop location. Workshop Outline & Description: 9:00-10:00: MORRIS LANDING TOUR, by NCCF 10:00-10:30: DRIVE to Surf City Visitor Center/ REGISTRATION/ INTROS 10:30-11:30: Presentation 1- Intro to Living Shorelines & the Living Shoreline Academy website tool. Presented by: Tracy Skrabal, Coastal Scientist/ Manager, SE Regional office, NC Coastal Federation 11:30-12:30: Presentation 2: Coastal Resiliency – Waterfront Development and Shoreline Protection & FEMA Coastal Flood Mapping and Revision Processes: Presented by: Heath Hansell, PE, Coastal/Marina Engineer, Applied Technology & Management: Current practices, waterfront planning basics, coastal risk assessment, coastal resilience, “design with nature” approach, and project examples. Overview of FEMA coastal flood mapping, coastal construction guidelines, and map appeal/revision process. 12:30-12:45: Lunch 12:45-1:00: Presentation 3: Surf City’s Ecological Marine Adventures program & NATURAL shoreline preservation projects. Presented by: Larry Bergman, Town Manager, Surf City 1:00-200: Presentation 4: Living shoreline opportunities, challenges & interdisciplinary collaboration approach: Presented by: Ed Morgereth, Senior Ecologist/ Project Manager, Biohabits Inc: Project examples from Biohabitats’ portfolio of living shorelines in the Chesapeake Bay and Delaware Bay watersheds. Will include perspective on experiences working on multi-disciplinary teams of ecologists, water resource engineers, landscape architects, ecological engineers and soil scientists 2:00-2:30: Presentation 5: NATIVE PLANTS FOR LIVING SHORELINES: Presented by: Sharon Day, Founder/ President, Mellow Marsh Farm. The use of native species, their erosion control characteristics, what’s commercially available, pros and cons of different plant sizes, spacing and planting techniques. For Presenter Bio’s, CLICK HERE.